Summer is an easy-going and loving daughter, but she’s anxious about bringing a friend home to meet her mom and experience their alternative, green ways of living: eating vegan, composting, shopping at the farmer’s support, supporting the local co-op, among other health- and environmentally-conscious practices. Long story short, the friend has a wonderful time at Summer’s home and is eager to visit again. 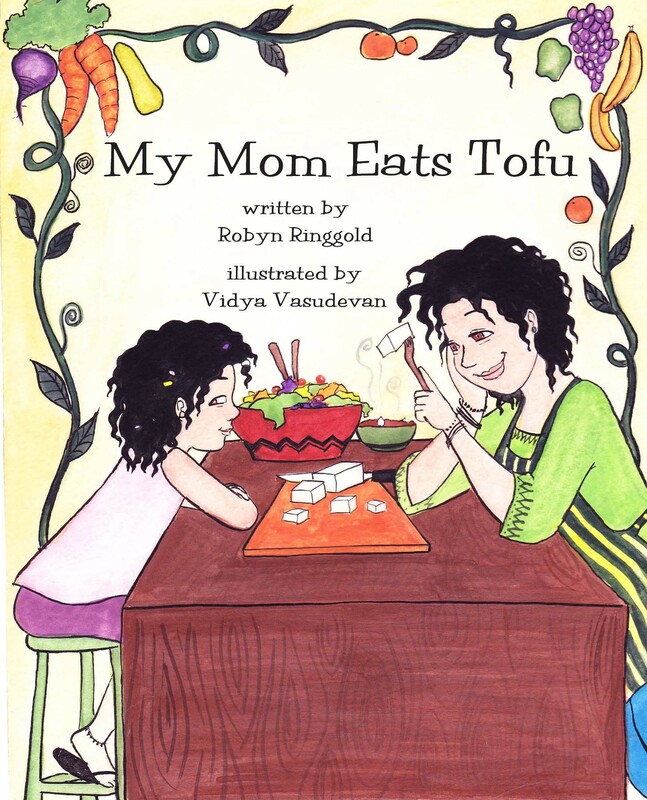 The aspect I love most about this book written by Robyn Ringgold is the myriad of fun foods mentioned that expand upon its title, My Mom Eats Tofu. From listing spices such as lemongrass and rosemary to diving into the sea to explore the world of underwater vegetables (think nori and kelp), the book serves as a vehicle to get kids excited about healthy fare. A more in-depth glossary is provided for adults who may also be new to these ingredients. Appropriate for ages 5-10. Printed on recycled paper.